In order to become a SaaS Manager user, you or your company must already have a contract with Flexera Software. 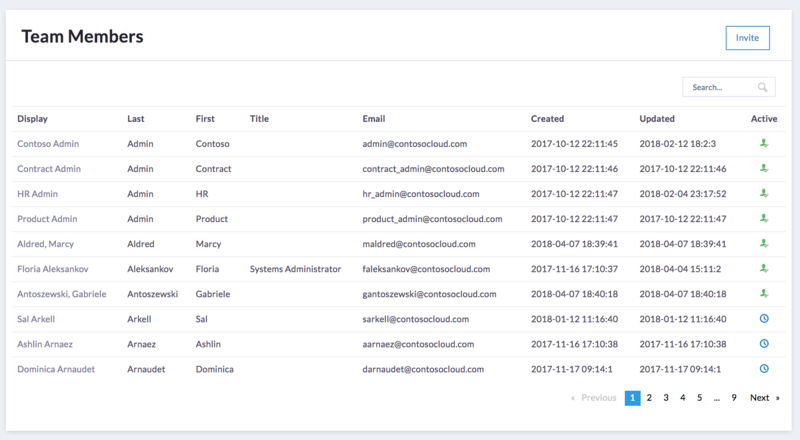 Once a contract is in place and your IT administrator has provisioned your account, you will be invited to your company's instance of the SaaS Manager platform. If your company does not already have a contract with SaaS Manager, please contact an account executive for a demo and pricing. 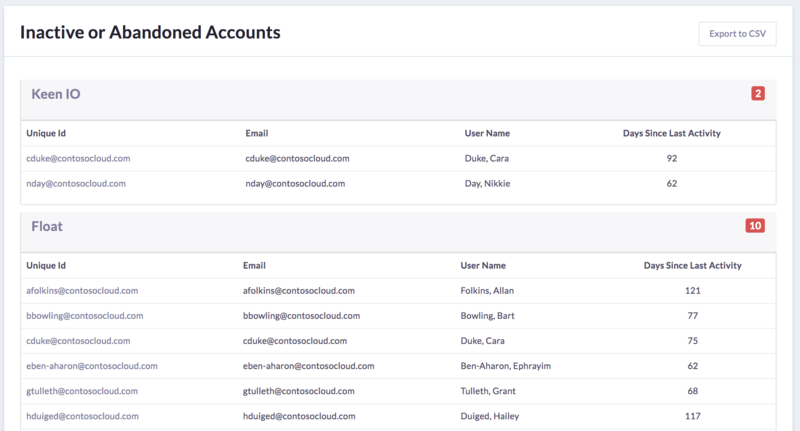 Dashboards will appear differently to users based on their user roles and permissions. 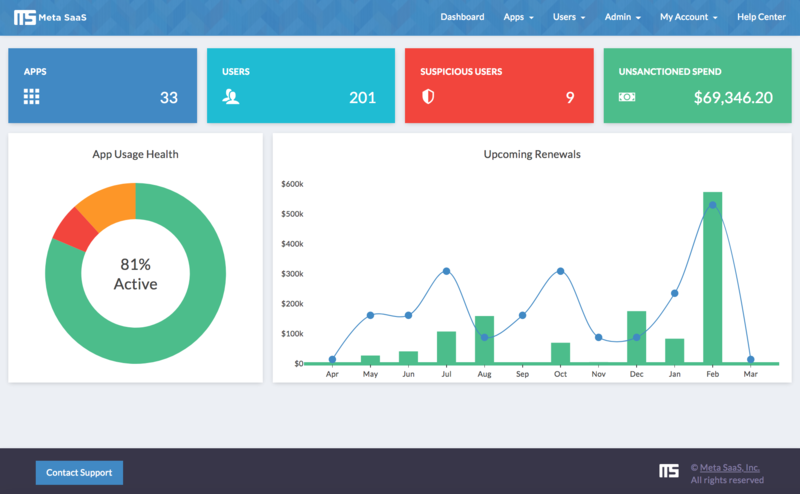 Site administrators will have dashboards similar to the example below. 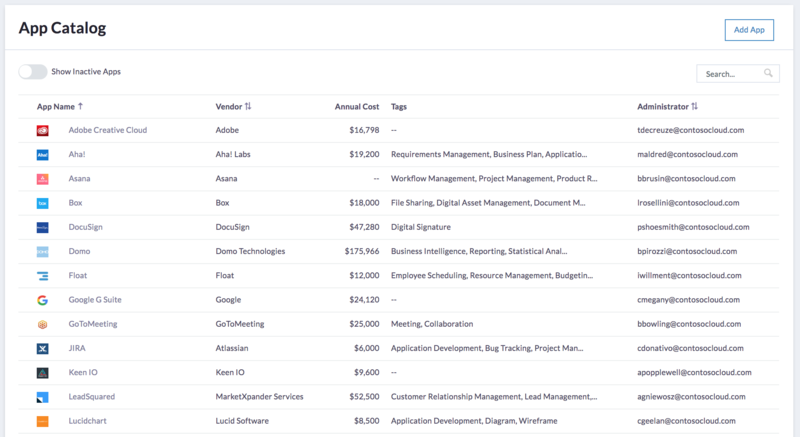 Catalog - Here you will find your app catalog, a list of all the SaaS Vendors you are currently using. 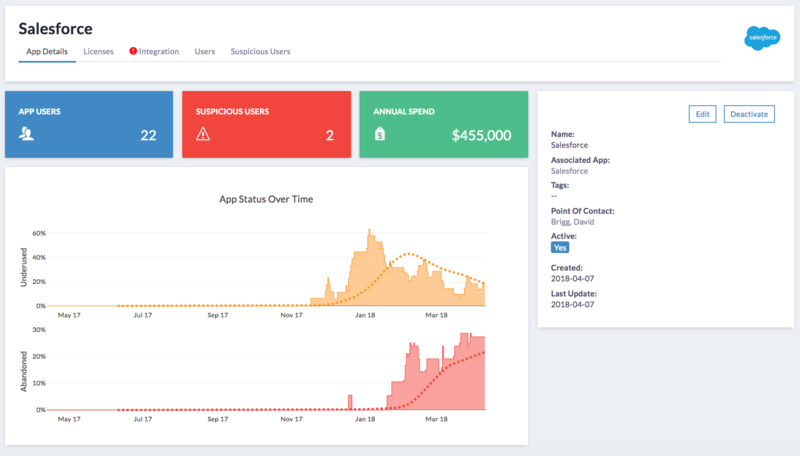 App Details - The product details screen displays the name of the application, the number of active and suspicious users, and the annual spend on that application. It also lists any related tags, created and updated dates, and who the Point of Contact is for that product. 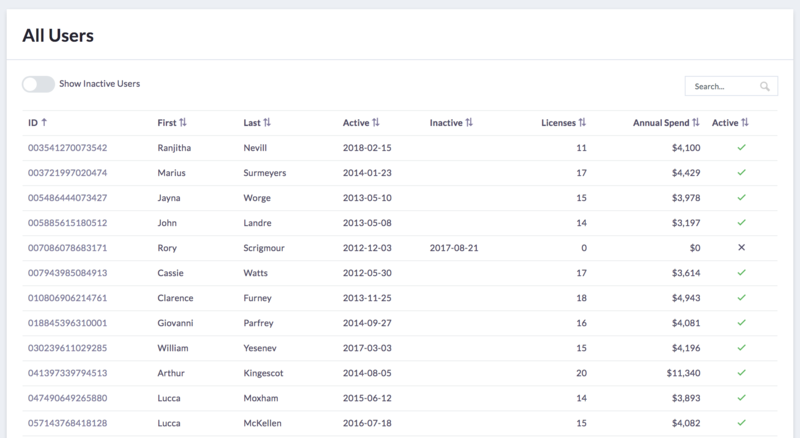 Licenses - The licenses screen shows all licenses associated with that particular product, when they are effective when they end, and if they are active. You can add new licenses on this screen by clicking on "actions" and choosing "New license." You can also delegate the task of adding a license to another person within your organization. Integration - The integration screen allows you to manage your integration agents, to view the authorization status of a particular integration, and to view the status of a particular agent. For more information on Integration Agents see "Authorize an Integration." Users - The user screen shows all users within your organization that have access to a particular application. These can be sorted by first name, last name, active date, and unique id. Suspicious Users - The suspicious user screen shows users of that application who are considered "suspicious." These include users whose emails are not kept in your company's system of record. Licenses - Here you will find a listing of all licenses for all SaaS products across your organization. These licenses will appear in a timeline that highlights the end date and the relative value of each license. 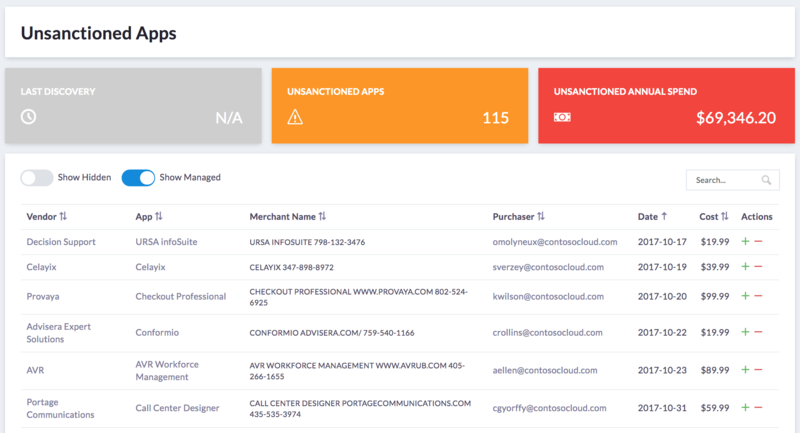 Unsanctioned - Here you will find your unsanctioned apps or a list of SaaS applications that have been purchased using the company credit card. 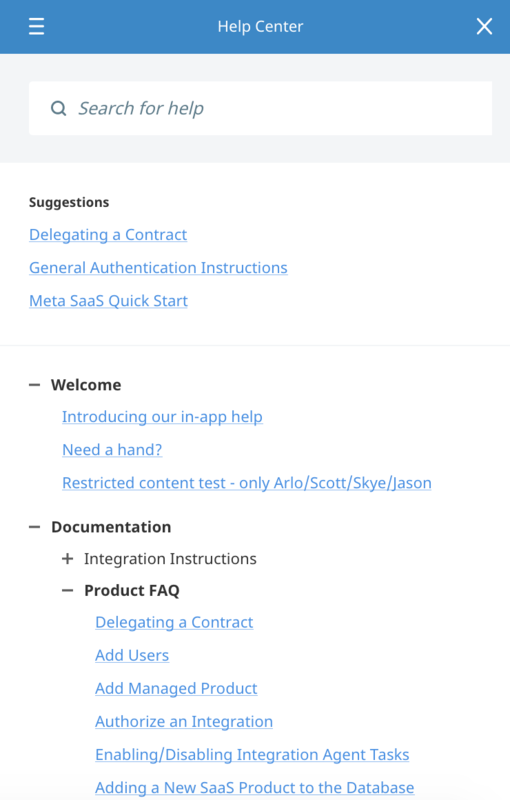 All SaaS applications that have a (!) next to the app name are apps you are currently managing. 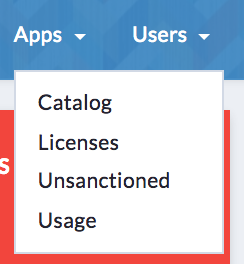 All other listed applications have been purchased by your company, but are not managed in your app catalog. Usage - Here you will find company-wide product utilization. 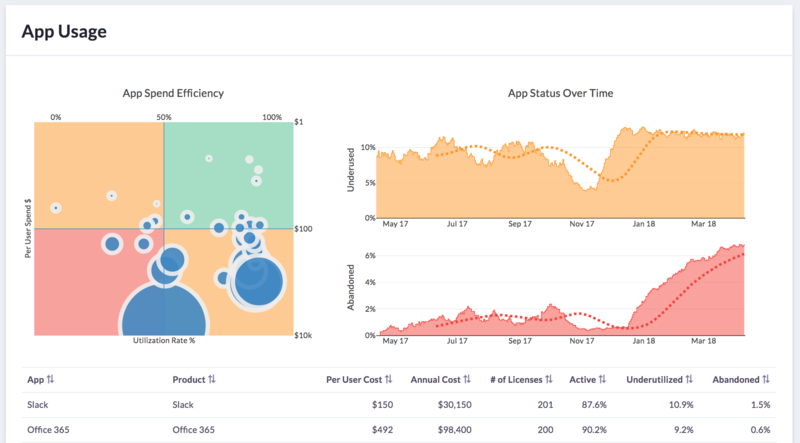 The graph shows the app spend efficiency as well as the app status over time. App Spend Efficiency - Measures the per-user spend against the utilization rate %. App Status Over Time - How underutilized and abandoned accounts have fluctuated over time. Inactive - Here you will find a list of your abandoned or inactive accounts across all applications. Abandoned accounts are those that have not been accessed in over 60 days. If "Days Since Last Activity" reads "Never Active," the user has not accessed the product in recorded history. 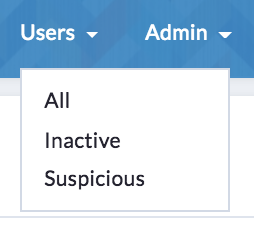 Suspicious - Here you will find suspicious users, a list of users who have access to one of your various applications, but are not currently active on your team roster. Settings - Here you will find your control panel which contains 4 main attributes: Email invite footer, License Reminder (ModificationDate), License Reminder (TerminationDate), and Task Expiration in Days. 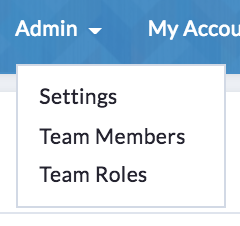 Team Roles - Allows you to view, create, and edit user roles and their permissions. In the top right-hand corner of your screen, you will see your personal settings. These include your personal profile and notification preferences. It is also where you log out of the SaaS Manager application. My Profile - Your profile itself stores all user related information including your name, title, phone number and email. 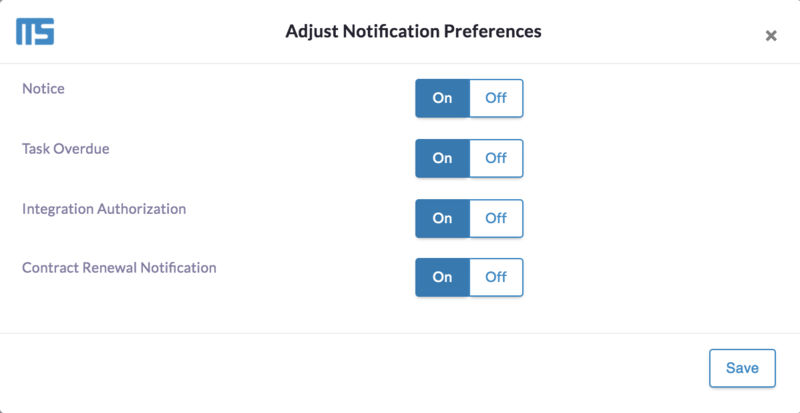 Notification Preferences - Your notification preferences indicate when you would like to receive email notifications from SaaS Manager. The Help & Docs button is located on the right-hand side of your screen and will persist across pages. 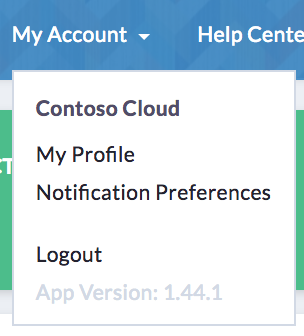 If at any time you have questions about functionality or how to complete a certain action, you can click on the Help & Docs button to be taken to the help center. Here you will find documentation like "how to's" and "FAQs." 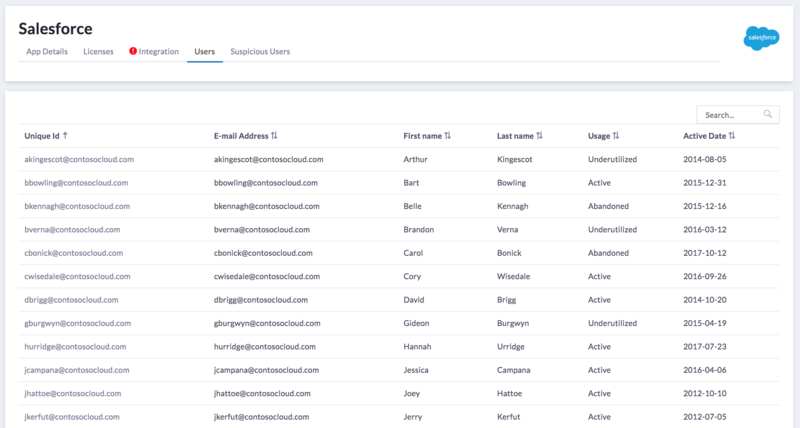 Once you have engaged in a contract with Flexera and received your SaaS Manager registration email, you are ready to begin using the application. 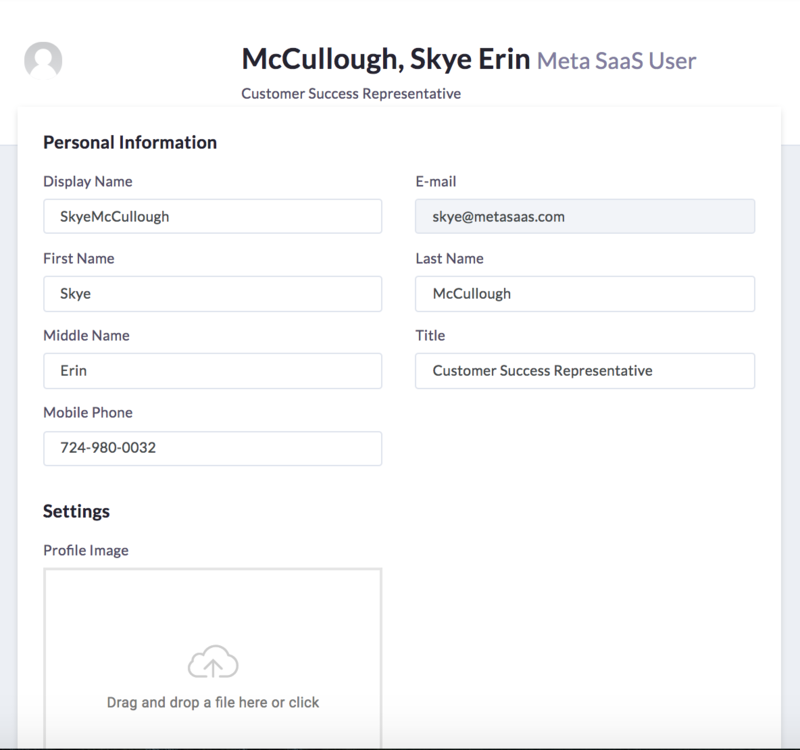 Follow the registration instructions and login to your instance of SaaS Manager. If you would like to configure Single-Sign-On for your company, reach out to customer support. 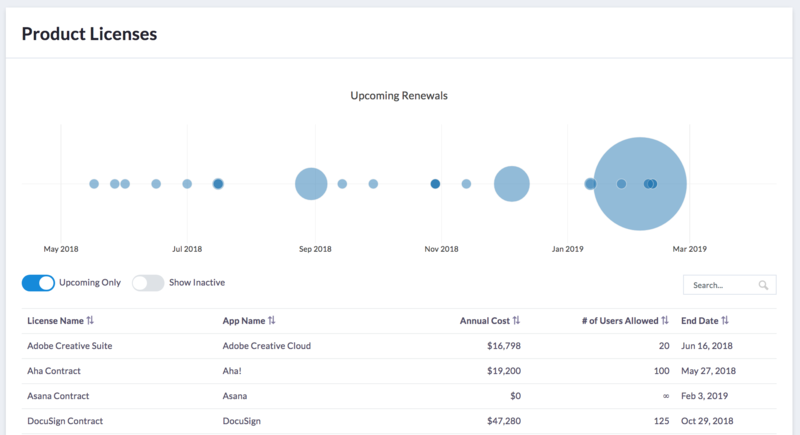 Before you begin using the platform, decide how you would like SaaS Manager to pull your data: via Direct Connect integrations, via SSO, or both. To better understand the difference between the two data sources, please read SSO vs. Direct Integrations. For more information, read "Navigating Licenses"